Does your business or organization post alot of job listings. Do you subsequently have tons and tons of CVs/Resumes to go through and vet? Company Vacancy Tool is a Joomla component that allows you to fully automate and facilitate the hiring process of any job listings. Its features allow you to comprehensively manage the whole hiring process from creating the form that you want prospective employees to fill out to posting a job listing to reviewing the CVs/Resume and scheduling interviews, to finally vetting the CVs/Resume’s, eliminating the failed applicants & hiring the perfect candidate. This is a great tool for any type of business who usually has job vacancies they want to fill. The CV/Resume Form is what the prospective employer fills out when wanting to post for a certain job position. 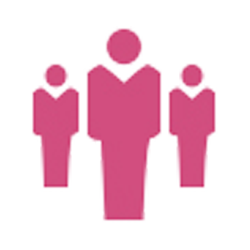 We understand that every job position requires different sets of information requested by the employer. This is where the dynamic Dynamic CV/Resume Form comes in handily. This feature allows the creation, management, editing and deleting of the fields that would make up this CV/Resume Form. You can add and/or delete any fields that you think is information that you need to know about the prospective employee. Image you have a hundred or more applicants for a job position you had posted but only have 2 slots to fill. This feature allows you to send mass notifications to all applicants who have failed the application process with one simple click. This feature is a time saver. There are also error notifications for when the selected actions are unperformable. Set interview date, rate and comment on candidates. Notify candidates of interview date. Create and management job listings as go. Job listings can be edited while they have already been publish. مجموع افزونه ها و قالب های موجود در سایت 3,525 فایل در 331 گروه بندی می باشد. این فایل ها تاکنون 37,645 بار دانلود شده اند.